Siren designs and implements projects that bring about positive change in the systems, processes and capabilities of civil security institutions. 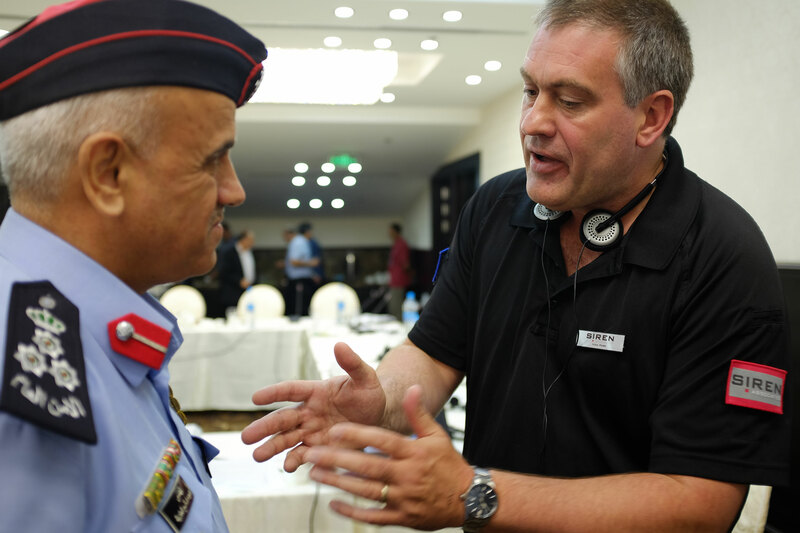 Our projects in Jordan and Lebanon draw on the expertise of Subject Matter Experts with a wide range of policing experience in conflict and post-conflict environments. Siren also employs consultants and core staff with experience in strategic planning, project management, monitoring and evaluation, strategic communications and financial administration. Siren is always on the look out for talented individuals to join our dynamic teams. If you are interested in security and civil society reform and would like to be added to our roster of deployable subject matter experts, please provide us with your details using the form below. We will acknowledge receipt and keep you updated about potential opportunities. We are particularly interested in individuals who speak Arabic and have in depth knowledge of the Middle East.